LEGAL INFORMATION: Do you have any unresolved problems with the law? Have you abused of any narcotics or medication before? Have you abused of other people before (physically or mentally, etc.)? 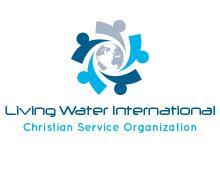 How did you hear about Living Water Ministerial Fellowship? Thank you for contacting us. We will get back to you as soon as possible. Please email info@livingh20.com for more information.